Momiji provides its tenants with reasonably priced door-to-door transportation to and from their medical appointments and other community obligations, as well as group excursions to go shopping or banking, or to enjoy specific Momiji social and recreational activities in the Scarborough community and beyond. 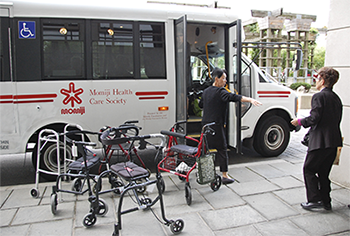 Our transportation service also assists tenants who require caregiver escorts to medical appointments due to language barriers, frailty or cognitive impairment. An hourly fee applies. 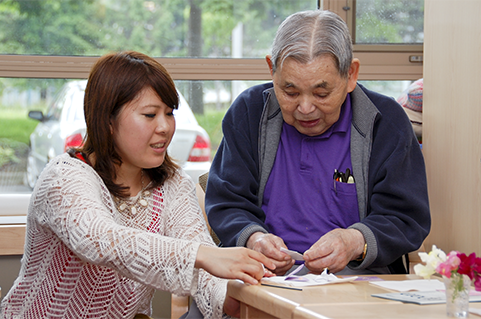 Our experienced and bilingual (English and Japanese) drivers endeavour to accommodate all transportation requests; however, we are limited by the demand for services and the availability of drivers. This transportation service cannot be used in emergency situations. A minimum of one week’s notice is required to book transportation.